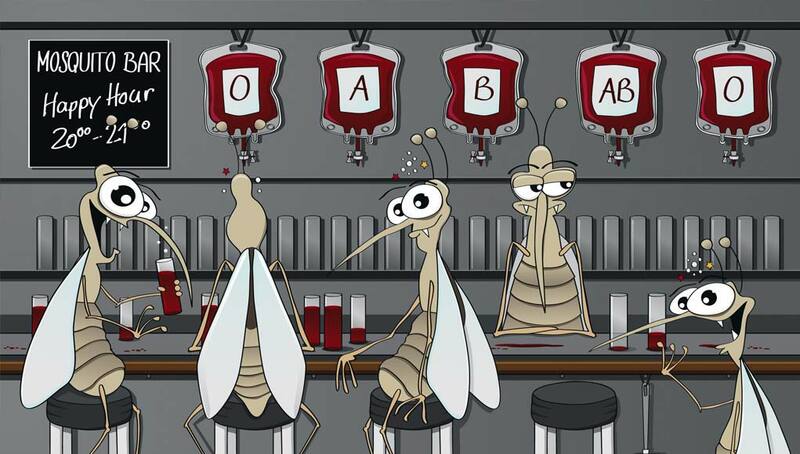 I don’t like sharing my blood with mosquitoes. Totally not fun being an involuntary donor for them, and the vicious little things carry some very nasty diseases. I seem to be a target for them, so wanted to find out why I’m so attractive to the little beasties. I hunted around the Web and found lots of information that explains my unwanted popularity. Thought you’d like to know too. Higher Body Heat — If you normally run hot you’re the preferred target — note to self: ice tea anyone? Type O Blood –They prefer O, B and A in that order — note to self: Oh no! I’m an O! As you can see from the list, if mosquitoes like you, it’s unlikely you can do much about it. So, choose your friends with mosquitoes in mind and hang around people who they prefer more than you. Make friends with high energy, heavy breathing beer drinkers and people who have type O blood.